Overview - Fly some WWII's most famous fighting aircraft. 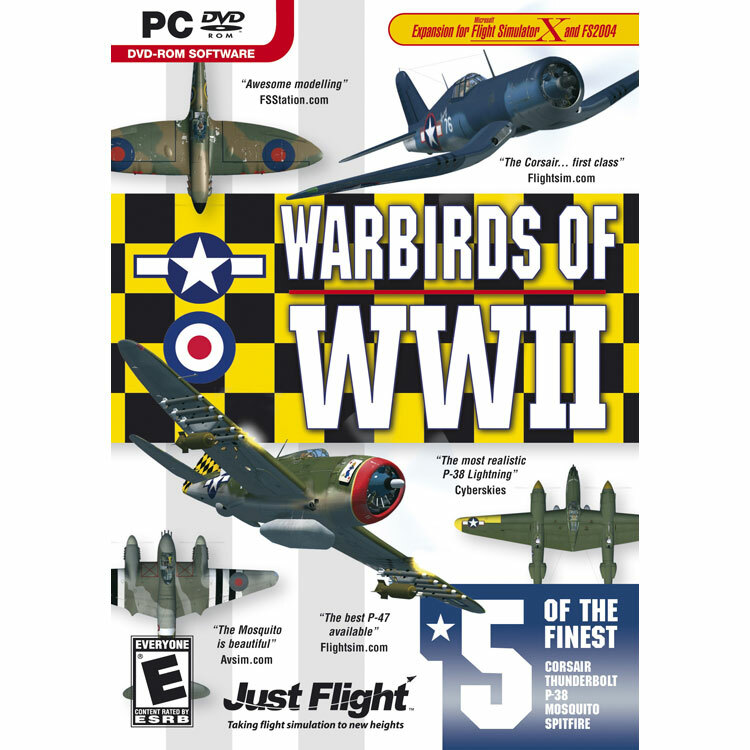 The F-4U Corsair, P-47 Thunderbolt, P-38 Lightning, Mosquito and Spitfire join forces in this great value pack for Flight Simulator X and 2004. There are two variants of each aircraft and they all come with authentic markings, high quality flight models, state of the art animations and are re-created to a phenomenal level of detail. Reach for the skies and enjoy some classic prop aviation! Copyright CompuExpert. All Rights Reserved.